How can you reach your customers with your website? Your website is a reflection of your business and your brand. Your logo and choice of images, fonts, and colors are components to achieving your look. Logo: We will include your logo prominently in every page of your website, typically at the top of each page of the website. If you don't have a logo, we can make you a temporary logo or help you find someone to create a logo for you. Colors and Font: We will use colors and fonts that align with your logo and other printed documents. We typically choose a font from Google Fonts. Images: We wlll work with your images or help you choose royalty-free images that reflect your company. We typically use images from 123RF. You want your customers to find you, right? Make it easy for them by embedding a Google map in your website. If you have more than one location we will include maps to all your locations. Google maps work great because many people will access your website and Google map right from their smart phone, and they will get turn by turn instructions from Google. 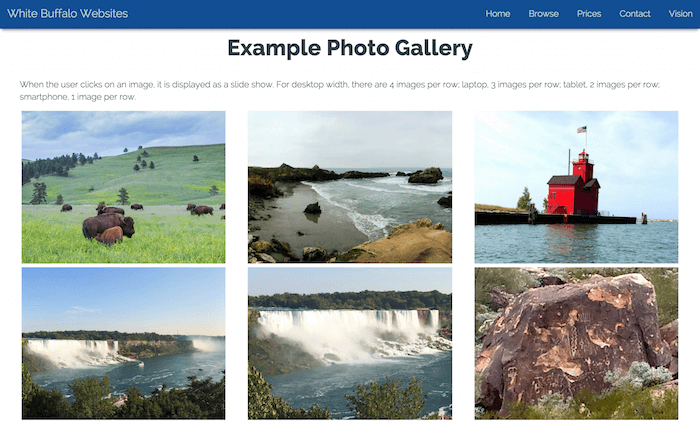 Show your customers what you can do for them with a photo gallery of your work! You can show images of products, before and after photos, and pictures of your completed work. There are different types of photo galleries. You choose the type that best displays your work. Keep your customers engaged with social networking ties to your website. Your customers will be able to find you on your social network channels on your website. When you post on your social networks, include a link back to your website. You can be as involved as you would like to be. All you need to do is give us your logo (if you have one), digital copies of any pictures you would like to include, and any text you would like us to incorporate into the website. If you don't have a logo, we will make you a simple logo. If you have some existing printed materials, we will match your website to them. Domain name. Your domain name is how the world will find you on the world wide web, like, "MyCoolCompany.com". Most domain names cost around $16 per year. If you already have a domain, let us know the name of the company you bought it from, and the username and password. If you need a domain name, we can help you purchase one. Website content. Send us any text you would like in your website. If you already have the content in another website, we can copy the content from your old website. Logo and images. We will incorporate your logo and images into the website. For example, you may send us a picture of your store front, a picture of your team of employees, or pictures of your products. It is very important that you have the rights to any images you display on your website. We use 123RF for website images. Your design ideas. You can send us links to websites you would like us to copy and your preferred colors and fonts for the website. You can even send us a mock up of what you would like your website to look like. 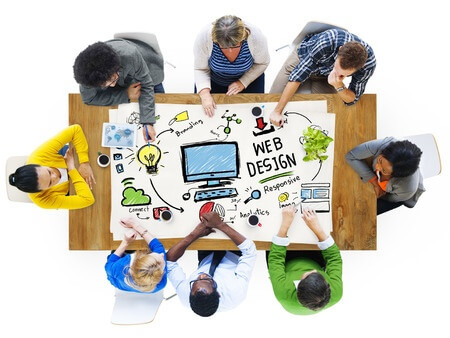 After we gather all of the pieces in the planning stage, we will then work on the design of your website. We will create the header, website navigation, and footer. Upon your approval of the design, we will add your content to the website. Upon your approval of the design, we will add your content to the website. We will send you a link after we finish each page so you can review it as we go. Once we have your approval on the content, it will be time to publish your website for the world to see. We will still be able to make changes to your website. You will have up to 30 days to request major changes to the content.